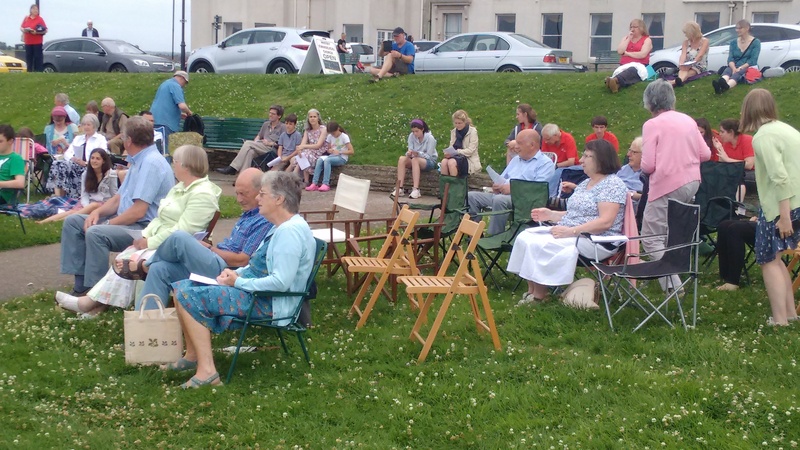 Here are some photos of the recent Open Air service that was held in the sunken gardens on the West Cliff. 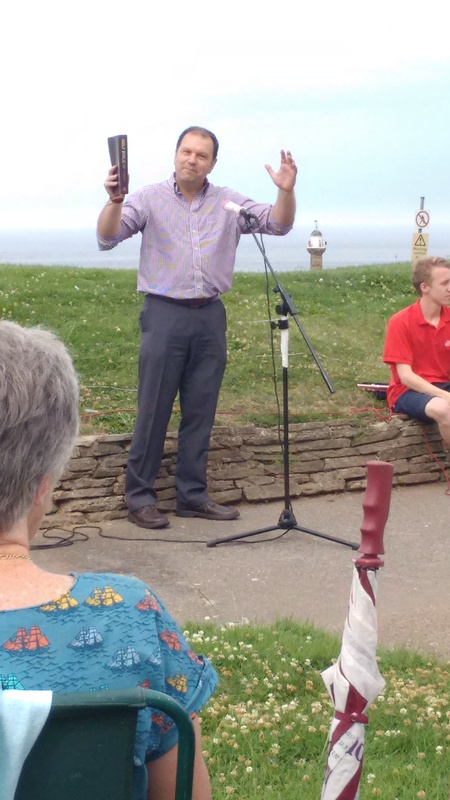 As you can see, there were plenty of people present and others who stopped to listen and sing with us. 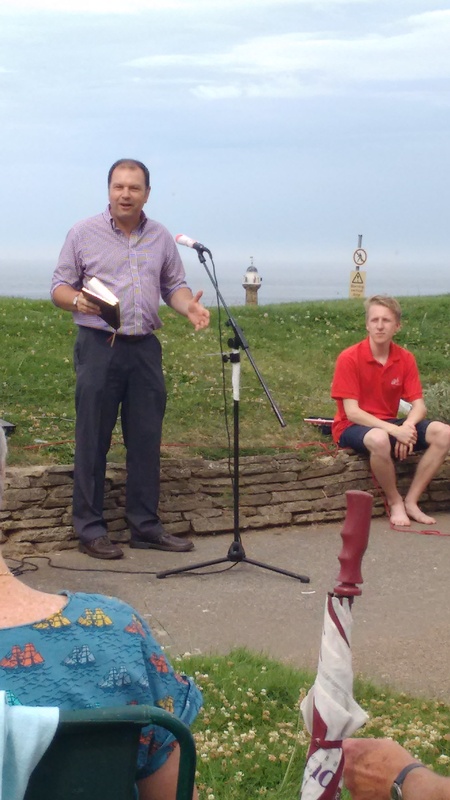 Despite the threat of rain the weather kept dry and we had a great time of worship together and the Gospel was preached by Peter Robinson, our minister. Dave Friery of the UBM Team also spoke and gave a clear Chritian message. Music was provided beforehamd by Paul Wheater and a small group of UBM team members provided the music for the congregational singing. Some church folk in the sunken garden. 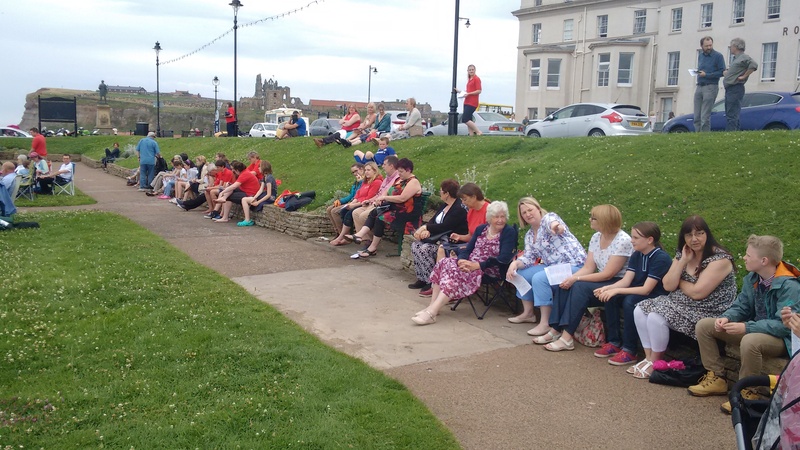 Some of the people who also stopped to listen. 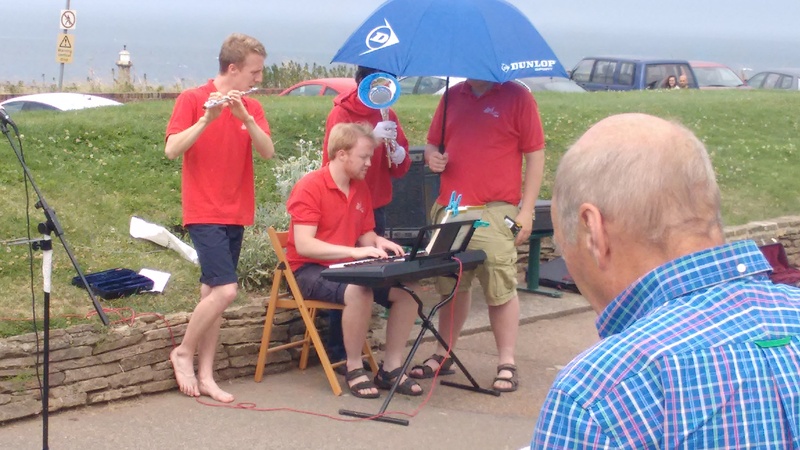 Some UBM musicians leading us with our singing.